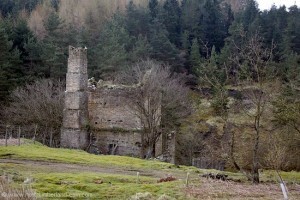 Blanchland - Pennypie House - Baybridge - Blanchland Walk. 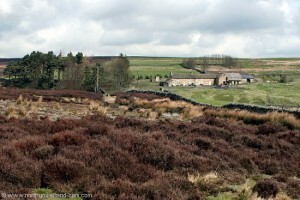 We started this circular walk of about 3.5 miles from the very picturesque village of Blanchland. 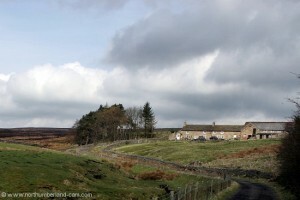 The scenery ranged from country lanes to moorland and riverside footpaths. We could have done it in either direction but north of Baybridge is a very steep section of road which we would have been going up if we had walked in the opposite direction. We could also have started the walk from Baybridge. 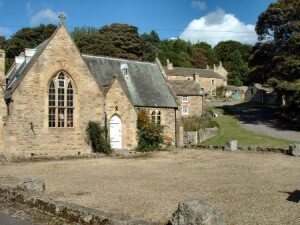 We parked in the car park on the north side of Blanchland Village. Leaving the car park we turned left and walked along the tarmac road to Shildon. 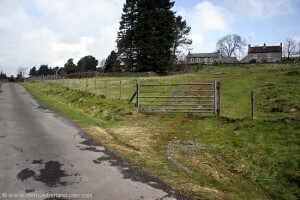 At Shildon the tarmac road turned into a track as we continued along the side of Pennypie Fell. On the left the remains of some of the mining activities in this area could be seen..
We continued along this track until we reached Pennypie House. Apparently it gains the name as pies were baked here and sold to miners for a penny (old money!) each. Track from Shildon to Pennypie House. We followed the track past Pennypie House and turned left along the track signposted to Baybridge. 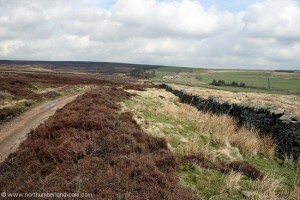 There were great views in both directions across the moors on this section of the walk. As we got nearer to Baybridge the track turned back to tarmac and afforded fine views across the valley. 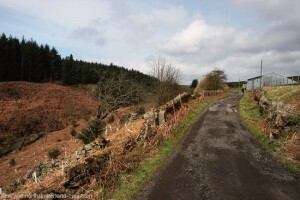 This road dropped steeply down into the valley to Baybridge at the Border between Northumberland and Durham. A picnic area beside the river would have been a nice place to stop in finer weather. Immediately before the bridge over the River Derwent we turned left onto a footpath towards the river. 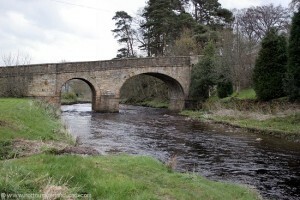 The River Derwent at Baybridge. 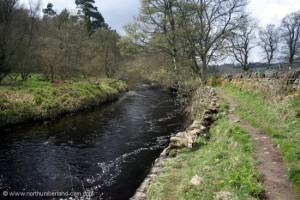 We follow this path which along the north bank of the River Derwent back to Blanchland. 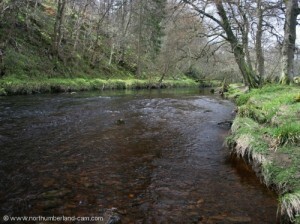 Alternatively we could have followed a path along the south bank of the river in County Durham. 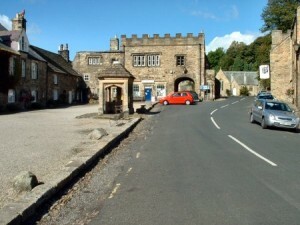 When we reached the bridge at Blanchland (toilets) we turned left and walked back up through the village to the car park. 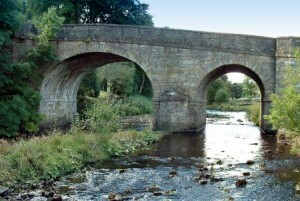 The River Derwent at Blanchland. 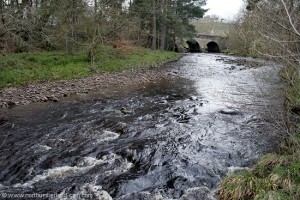 The River Derwent between Baybridge and Blanchland. Good walking boots are advised for this walk and the weather can change quickly here so waterproof clothing is advisable too. Maps - Ordinance Survey Landranger sheet no. 87, Hexham, Haltwhistle and surrounding area.